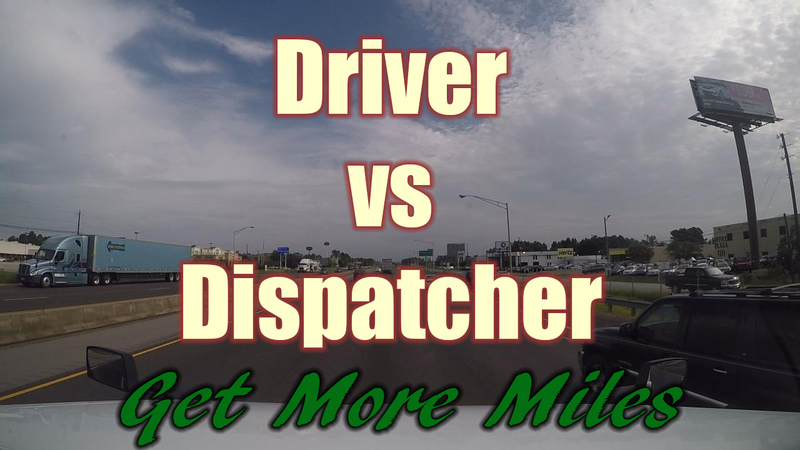 Dealing with difficult dispatchers with a poor attitude is one of the hardest things for truck drivers to handle over the road. It can be a cause of stress for truckers and put a cap on driver pay. One of the worse ways to deal with him or her is to match their attitude with the same level of ignorance, rudeness or lack of respect. The second worse is to just ignore them and not talk to them at all. That would make a stressful trucking job not a career. Communication is key. If you have tried to be diplomatic and failed at improving the relationship see if there is a process for changing dispatchers. Why should I show respect if he/she is not showing respect? When you respond exactly the same way all you do is fuel the flames destruction in the relationship. Think of a tactful way to let the person know that you are competent, deserving of respect and care about your job performance. This can easily (even if not immediately) let them know you are someone who will be an asset to the company and not like the throw away driver. What is a throw away driver? A throw away driver is a bad driver described in detail here. Basically one of those who could care less about being on time, communication with office and customers, attitude in general, etc. Why might a dispatcher have this poor attitude? It could be for various reasons. I don't think a company would keep someone there in the office dealing with drivers that they know has an attitude problem or doesn't care about his/her job. However, if they don't know he/she is there, they don't know he or she is there! Keep that in mind, how can you solve that. So if that it's not their normal state then what could be the problem? Well it could easily be that they are simply having a bad day or just got through dealing with some other driver, shipper, receiver, broker, manager that gave them a hard time. Dispatching can indeed be a stressful job. It's more work than most drivers realize at most companies. So, it could easily be the case that you step up to a fire that someone else has started. Not fair to you but I think most of us have done something similar to someone else at some point to a certain extent. How do you get good at it? Well you take on the personality that generates the response that I am talking about internally so that it is natural. So obviously this means working on how you respond over time. If we are not used to looking at and responding to circumstances in a way, we can't just feel 100% percent comfortable about doing it that way the first time. It's not like flipping a switch. However, if you think generally about how you will respond in conflict before time, like you are doing now, you can make a choice now to respond in the best possible then, instead of reacting or responding mindless and perhaps in a more destructive way by default. Congratulations, you are on the way to better relationships, not just with your dispatcher but with you wife, girlfriend and others. For this mindset is useful for dealing with people, not just dispatchers.